Your best friend, spouse, and even your personal trainer can yell at you to drink at least eight 8 ounce glasses of water everyday, but unless you’re committed to staying hydrated, you will probably sip on diet soda instead. As the most healthy and accessible thing for all parts of your body— weight loss, your immune system, headaches, etc— water is pretty much a miracle worker. However, if you aren’t getting enough water everyday, then it really can’t start working miracles on your body. By following these two tips, however, you can stay more hydrated and start reaping the benefits. Instead of carrying around that can of diet soda or cup of coffee to early morning meetings, try carrying around a reusable water bottle instead. By always having a bottle of water at your side, you can instantly grab for it the moment thirst strikes and stay hydrated throughout the day. When picking a water bottle, pick one that you will actually use. If the taste of plastic tends to bug you, then opt for a metal or glass water bottle. Whatever bottle you decide to use, just make sure it is one that you can use day after day. Yes, it would be nice to have a glass of wine the first thing in the morning but opt for a glass of water instead, Because you aren’t drinking any water during the entire amount of time you’re sleeping (hopefully at least 8 hours), your body can easily become dehydrated first thing in the morning. Get into a routine of drinking a big glass of water either as soon as you get out of bed or with your breakfast. 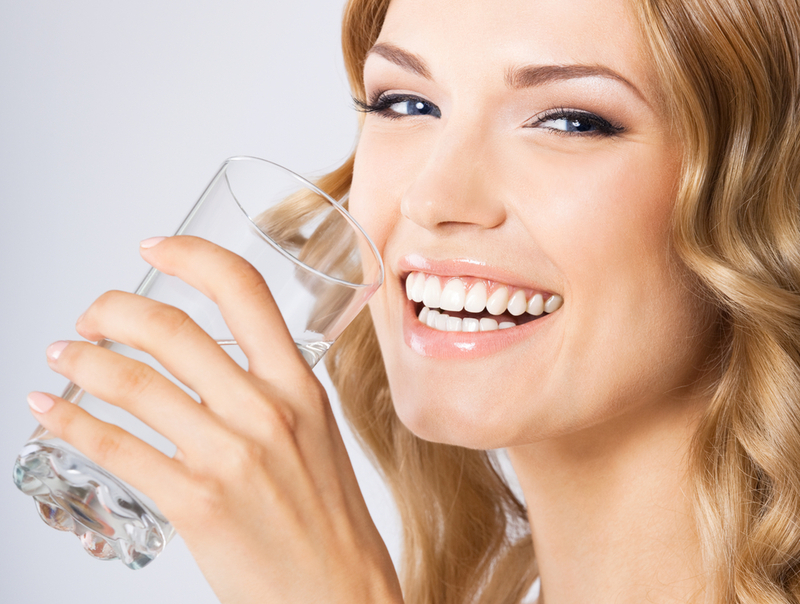 Plus, by starting early, you can help kick-start your daily plan to drink more water throughout the rest of your day. Get everyone off of your back and get your body feeling the best you knew possible by drinking more water every day. By getting a reusable water bottle that you love and by starting to drink water first thing in the morning, you can help to keep your body hydrated all day long. To learn more about healthy living contact our office today!